Sri Lankan Vice Captain Angelo Mathews has broken into the top five of the Reliance ICC Player Rankings for ODI all-rounders in the latest rankings, after his teams ODI series played against New Zealand. 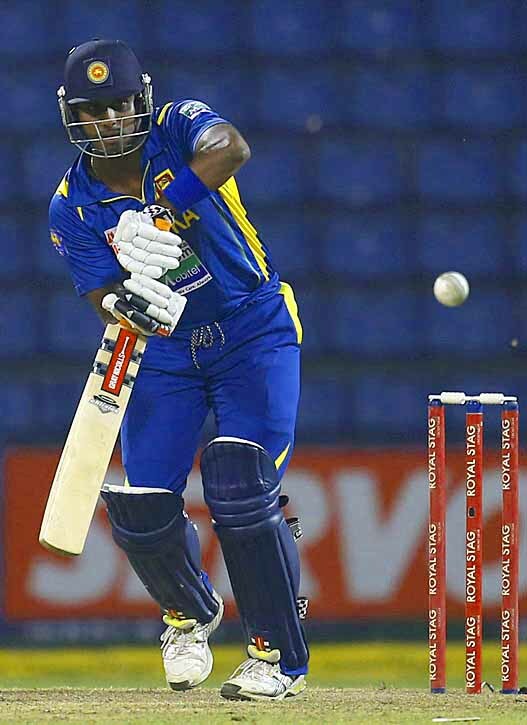 Mathews moved up a place to 5th and also achieved his career-best rating of 331 in the fourth ODI in Hambantota,ICC says. The lone centurion in the series, Sri Lanka’s Tillakaratne Dilshan, who logged 139 runs in only two appearances in the series due to an injury, moved up three places to 12th.